We know, we know, we’re captain obvious here. Just like “florals for Spring” is groundbreaking, “polka dots for Summer ” never crossed my mind! 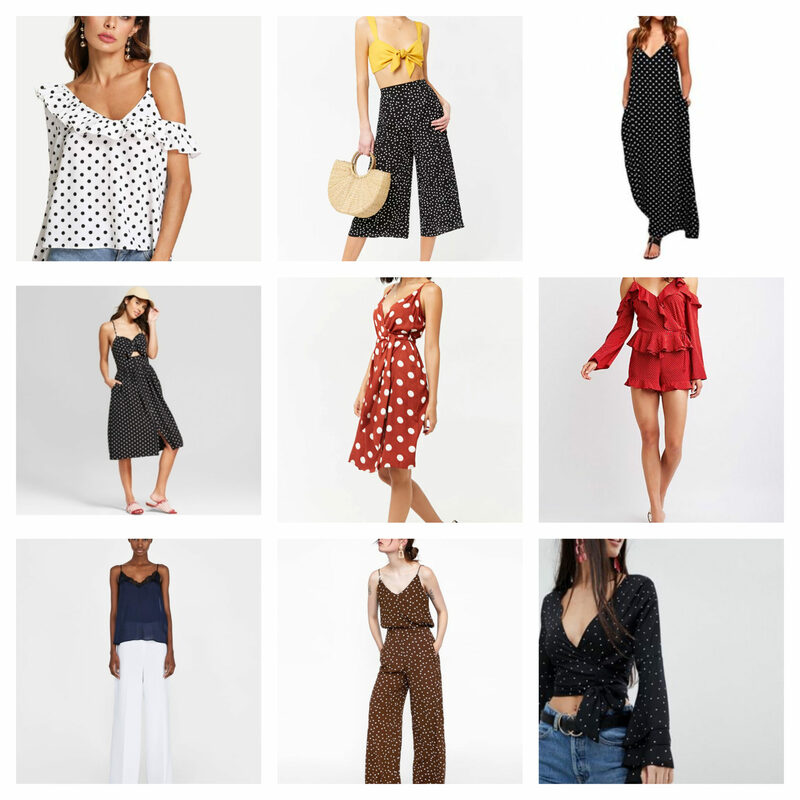 Polka dots are all over our Summer closet prep right now, and we couldn’t help but share some of our super affordable finds with you gals! They are so fun, playful and enchanting, we just can’t help but get every color/style/size out there. We are sharing one of our favorites and some other great finds that we are completely crushing on. As always, don’t be forced to conform to the image you shop, try pairing a super girly, frilly dress with some sneaks like Sheena did here. Or take a fancy blouse and tuck it into your favorite pair of jeans. Whatever it is, make polka dots yours this season and have fun with it! Even though this number is from last year, we have rounded up some of our favorite polka dot pieces and are sharing with you!